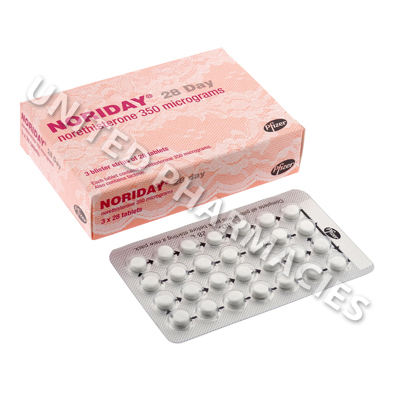 Noriday (Norethisterone) is a birth control pill. It is used to help control heavy, irregular or painful periods. 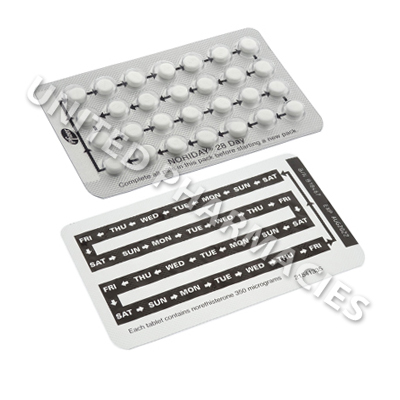 Oral contraceptives belonging to this group produce their birth control effect by preventing ovulation during each menstrual cycle. Combined Oral Contraceptives also cause changes to the mucus of the cervix and the lining of the womb which contribute to the contraceptive action. This medicine is intended to prevent pregnancy. It does not protect against HIV infection and other sexually transmitted diseases. 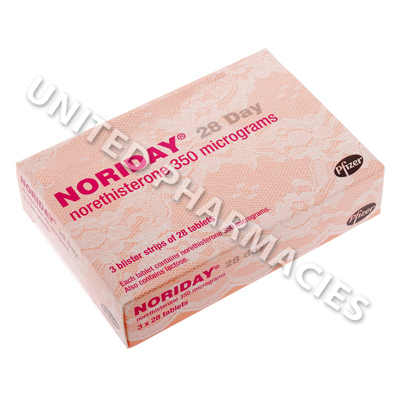 Continue to take one tablet of Noriday (Norethisterone) every day, following the arrows around the strip, until all 28 white tablets are finished, following the arrows so that you are taking the correct tablet for the day of the week. Taking these orange inactive tablets helps you to remember to take a tablet every day. If you have any concerns about taking this medicine, ask your physician or pharmacist immediately. Before you start to take Noriday (Norethisterone), you must tell your physician if you are breastfeeding or a heavy smoker. If you have uterine fibroids, gall bladder disease, heart or kidney disease, high blood pressure, high cholesterol, diabetes, asthma, migraine, any form of depression, or a disorder of calcium or phosphorus metabolism. Do not take it if you have had a stroke or a heart attack, inflammation, infection or clotting in any blood vessel(s), liver disease, a history of jaundice, severe generalised itch in the body during pregnancy, Dubin-Johnson Syndrome or Rotor Syndrome, abnormal vaginal bleeding, cancer, a family history of breast nodules, sickle cell anaemia, a lipid metabolism disorder, diabetes with blood vessel damage, a history of herpes during pregnancy, otosclerosis (an ear disorder), or an allergy to norethisterone or mestranol.